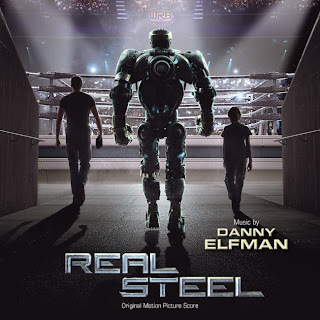 The movie soundtrack of Real Steel will be released on October 4, 2011. What’s your favorite song from the Real Steel soundtrack? I saw the premiere yesterday. Awesome movie, but I also remember hearing the beginning of the song Nine Thou by Styles of Beyond at the zoo fight scene. It was actually a song by Jonsi, from Sigur Ros! What is the song where max is dancing with atom at the hotel? As Jessica, I am interested in knowing, what is the song where max is dancing with atom at the hotel, and appears too, in the end of the movie……. uhh What happened to Wings of Icarus by celldweller? It was on one commercial. Which is the song that plays during the credits at the end of the movie? What was the song where Max was talking to Charlie about putting Atom in shadow mode and when Charlie was waiting Zeus out and when he ran out of energy and Atom landed a really good hit. What was that song? The song in the final round – AWESOME. What is the name of the song that plays during the opening credits sequence? What is the song at the opening credits? Love that one! hey can anyone tell me the song that played at the opening sceen its a really nice guitar fingerpicking tune and im pretty sure it isnt listed. I nearly danced in the cinema. The songs are pretty cool! I liked the song at the beginning of the credits. Who knows what the name of that song is? “This is the Sound” by Switchfoot was on the advert, where did it go?? Background score was pretty awesome……and wat was da song which comes in trailer…..and entrance of atom in second last fight with 2 headed one is awesome. The song when Max is dancing with Atom or at the end of the movie is “Give It a Go” by Timbaland featuring Veronica Gardner. 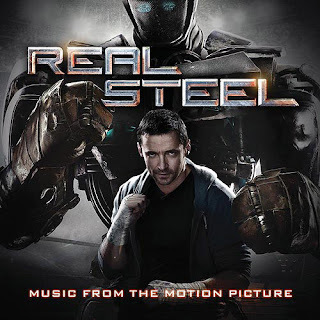 Anyone know here the song at the end or during the credits of the movie Reel Steel? Is it, Give it a go? All my days? or what? i am so confused. it the “give it a go” by timbaland..wooh!. i really like the movie..ive watched it like 20 times a day..LOVE THE BRAWL MEN! But when I got to listen to the song, I found a major difference. The Background Score that is so well and beautifully played out in the Movie, turns into a lame and very inaudible backdrop in the original Song by Timba. Does anyone know which version of the song is actually played in the movie? what’s the name of the song which starts in the movie when noise boy enters crash palace? can anyone tell me what’s the name of the song when hugh jackman takes his japanese robot..to make some money..
“Give it a go” simply bharee…..!!! !